If you’ve been running a business for any time at all online then you’ve likely heard of virtual assistants. Perhaps you’ve gotten help from a virtual assistant with a small project but you don’t have a permanent virtual assistant on your team because it seems like a luxury expense. Would you do it if you knew that it would actually increase your profits? Smart business owners will do what it takes to increase profits but often don’t take their lessons from their larger counterparts very well. If you truly want a six-figure plus business, you can’t do it all alone, at least not if you want to have any quality of life, spend time with your family, and get any sleep. Hiring one or more virtual assistants to handle specific tasks to free up your time is one way to increase your profit, but you can do even better than that. If earning more profits in less time isn’t enough reason for you to take that step, there are many more reasons to hire a virtual assistant. To Perform Non Money Making Tasks – Every business has tasks that they must do day in and day out that do not generate money but are necessary to stay in business. Tasks such as bookkeeping, data entry, uploading blog posts, distributing press releases and so forth are all necessities. To Rid Your Life of Overwhelm – You are trying to be everything to everyone. You want to be the best parent, spouse, sister, daughter and friend, but your business eats up so much of your free time that you are starting to feel overwhelmed. You’re starting to think it would be easier to get a regular job. You find yourself looking at the want ads instead of doing the things you need to do for your business. The joy is gone. To Catch Up on Administrative Tasks – Perhaps you have just let all the admin stuff go, your books are out of order, you have no idea what your daily expenses are, or what you’re earning, or what to do next to make more money. You have a pile (literally or figuratively) of undone tasks. Sometimes, with the advent of technology you will not see a pile of unprocessed paper on a desk to show how out of control everything is, but you know whether you have stuff undone or not and are behind or not. 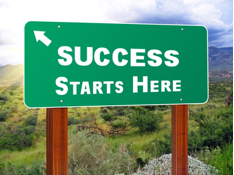 To Move Your Business to the Next Level – This is true of most small businesses. You get to a point in your business where you are truly tapped out in terms of time. Even if you are super organized, and are not actually behind, you’ve maxed out what you can produce alone. This places a cap on your earnings. If you want to move to the next level and get rid of that ceiling, the only way is to hire help. To Quit Your Job – If you are doing all the tasks yourself, what you’ve done is create a job for yourself. Having a VA can make you the manager and creative director of your business. This enables you to focus on promotions, connections, and building your business instead of personally handling all of the business tasks. This job description change for you finally allows you to claim the freedom that ownership should provide and the freedom you dreamed of in the beginning. To Improve Products and Services – Gathering data, analyzing data, and then using it to implement changes, upgrades, improvements or brand-new products is very time consuming. But, a VA can do all that for you. You’ll only need to see the final report to make business decisions. To Provide Better Client Services – You’ve built your business to the point that it’s become impossible for you to follow up with clients on your own. No amount of automation can keep systems updated, newsletter content written, or provide follow-up care to clients. You need real people to do and oversee these tasks. To Get Back Your Free Time — You started your business so that you can enjoy dinner every night with your family, or go on fun trips around the world. Whatever reasons you started your business it wasn’t because you wanted to work 24/7 without a break. You did it so that you could write your own future and have freedom in life. You Have a 24/7 Business – Most businesses today aren’t in business just 8 hours a day, and your online business is no different. People are ordering your products from you 24/7. 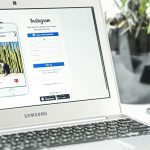 Even if you sell services, the fact is, people are looking at your website, signing up for your email list, and connecting with you 24/7. Working with virtual assistants can help you deal with this fact. Someone else can be writing blog posts, while you’re working on long-term product ideas, and organizing the tasks that need to be done for these products. To Increase Your Revenue – Many people think of hiring a VA as an expense, but the truth is, when you hire strategically, your income will actually go up. However, the benefits are not limited to your income. 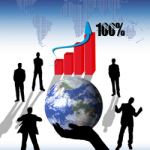 Your profit margins and your actual bottom line will increase as well. That makes hiring virtual assistants a way to increase your profits, not your expenses. Hiring a VA or a team of virtual assistants is truly one of the best things you can ever do for your business. You will be able to expand your business beyond your dreams and truly build something that can be passed down to your family members, sold to someone else, or practically run without you whenever you want it to. So what are you waiting for?! 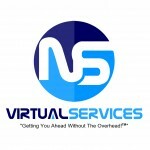 Hiring a virtual assistant is easy! Contact us HERE and connect with us on FACEBOOK and TWITTER. 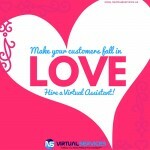 How Hiring a Virtual Assistant will Make your Customers Fall in Love with You! What Can a VA Do For Your Business? 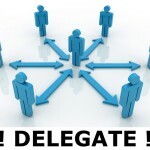 Simplify, Delegate and Trust – to achieve success! What a VA could have done for you this year? Thank you for the awesome list! This is really accurate and might help future clients that wants to invest on a Virtual Assistant. This will help them decide in the future. Cheers!